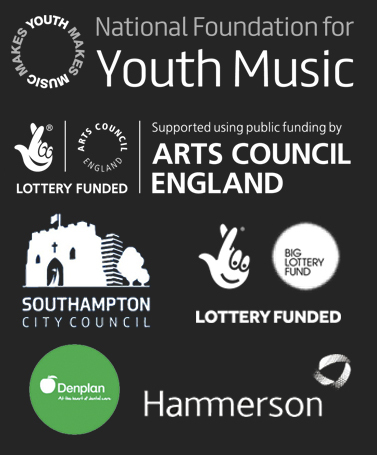 SoCo Music Project has been delivering engaging and inspirational music making activities since 2008. We believe everyone has the right to take part in music making, no matter what your ability, age, background or circumstances. Music is powerful, it has a place in everyones life, whether it’s a song that is close to your heart, a process that helps you through challenging times or way to celebrate your talents. At SoCo we are passionate about changing lives through music… our positive and creative opportunities help people discover something new, learn new skills and nurture their creative potential. Through our ENGAGE programme we develop projects and create spaces that inspire, captivate and entertain. If you want to progress as an artist or practitioner we can help. Our ELEVATE programme supports musicians whether it’s recording tracks at our professional studios or showcasing your talents with a Balcony Session. We also offer guidance and support for emerging and established practitioners, get in touch to find out more. We are also serious about what we do: supporting the sector to improve lives through training and networking; understanding how we can make the case for better investment in music and arts; reaching out to organisations outside of our field to develop new partnerships; and working strategically to enhance the offer locally and regionally. We have a great team here at SoCo and we’re growing all the time. Within our organisation we have skills in strategic planning, project management sound engineering and of course, music making. Find out more about the people that make it all happen here.